Steven Renouf, who is the owner of Taghna Security Services, had supplied up to 40 unlicensed staff to the school over the course of a contract dating from 2006. In addition to deceiving his client, Renouf had dishonestly convinced his own employees that they didn’t require a licence. 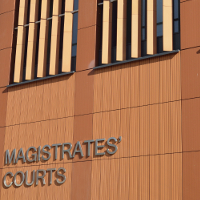 Renouf appeared at Swindon Magistrates Court on Tuesday 06 November, and pled guilty to all 23 charges against him. “Steven Renouf ran his security business with a complete disregard for the safeguards provided for by regulation. It’s important to recognise that the offences Renouf committed were not ‘one-off’ or occasional, but took place over many years. During that time Renouf sought to profit whilst ignoring the best interests both of his customers and of his employees. The SIA launched an investigation, and made formal requests for information from Taghna Security Services. The company’s responses were incomplete and included falsified invoices and other incorrect information intended to show that Renouf had been operating legally. As a result, Renouf was charged not only with failing to provide information, but also with two counts of providing false information. These charges were in addition to 20 counts of supplying unlicensed security staff. Daniel Hyde received a six month conditional discharge and is required to pay £150 prosecution costs plus a £20 victim surcharge. Hyde had worked at the school as an unlicensed guard since 2013.